When we hear the word patriotism, we think of our brave soldiers and the emotions we have on 15th August and 26th January. But patriotism has a different meaning for the most successful female Indian Tennis player- Sania Mirza. After getting married to a Pakistani cricketer she still represents India in tennis tournaments and is surely an epitome of patriotism. 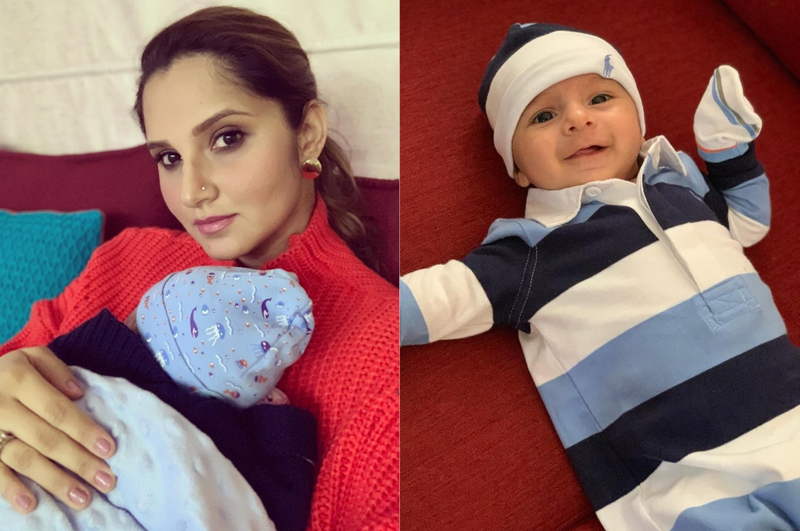 Sania Mirza was born on 15 November 1986 to Imran Mirza and Naseema. After her birth, the family moved to Hyederabad where she and younger sister Anam were raised in a religious Sunni Muslim family. At the age of 6 she started playing tennis under the guidance of her father and coach Roger Anderson. Sania says that her school, Nasr School played a very important role in her career as the school authorities never restricted her only to studies and allowed her to play all the tournaments possible. Mirza won 10 singles and 13 doubles titles as a junior player and turned professional in 2003 at the age of 17. Mirza was consistent and was finishing on the podium a several times. Her hard work and consistency paid off and reached her highest singles ranking of world No. 27 in 2007. Mirza had the best results of her career during the 2007 summer hard-court season, finishing eighth in the 2007 US Open Series standings. 2010-2012 was the worst part of her career as she hardly won anything and also had to go through some injuries. These two years saw most number of first round exits in singles and she hardly could display an acceptable performance. Surprisingly she was performing well in doubles category and won titles with different partners at different occasions and tournaments. Fortunes turned when Sania ended her partnership with Hsieh Su-wei and paired up with Swiss legend Martina Hingis. This pair went on to win almost every tournament they played and that helped Sania improve her ranking. Mirza and Hingis won Family Circle Cup’s double title in April 2015 defeating Casey Dellacqua and Darija Jurak and with the title win Mirza became the first Indian to be ranked world No. 1 in WTA’s doubles rankings. “No tournament has been as special to me as the Family Circle Cup and no tournament will ever be as special to me, because I became No. 1 here.” adds Sania Mirza. Mirza won her maiden Women’s Doubles Grand Slam with Hingis at the 2015 Wimbledon Championships which was an important feather missing from her hat. In August 2016, Mirza and Hingis announced their mutual decision to split as a team, citing their last few under-par performances, with the 2016 WTA Finals in Singapore being their last event together. Mirza partnered with Barbora Strýcová in late 2016 (winning two titles) and some parts of the 2017 season. A knee injury kept her away in late 2017 and she also missed a few tournaments in 2018. In April, Mirza announced on Instagram that she was pregnant with her first child, with husband Shoaib Malik. In late October, Mirza had delivered a baby boy. Mirza has announced she hopes to return to professional tennis in time for the 2020 Summer Olympics. Mirza is an offensive baseliner with very powerful groundstroke and is known for setting up good attacks with the sheer velocity of her groundstrokes. Her main strength is her forehand, as well as her volleying skills. “There’s no doubt that my forehand and backhand can match anyone, it’s about the place that they’re put in. I can hit the ball as hard as anyone can”. Sania Mirza has won 6 Grand Slam titles. She has 2 of those with Mahesh Bhupati. “Ace Against Odds” is her autobiography which was released in July 2016 in which she narrates her journey to the pinnacle of success.